Diameter: 20", 22" and 24"
Catering to the requirements of our clients, we are involved in offering Polycarbonate Ventilator Base Plate. 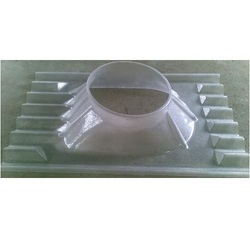 - Poly-carbonate base plates are manufactured from certified poly-carbonate UV Stabilized material. - Turbo ventilator mounting is flexible.